Scottish trainer Iain Jardine has expressed his sorrow after a work rider and horse were killed. Natasha Galpin, a member of Iain Jardine’s racing team stables in Dumfries, Scotland, has died following a fall while working a horse. The 22-year-old sustained fatal injuries when the horse she was riding suffered a ruptured artery during a work-out. An accomplished event rider, Galpin was a full-time member of Jardine’s staff and ran her own livery yard. “It is with great sadness that the team at Iain Jardine Racing wish to report that we suffered a tragic accident on our grass gallops on Tuesday morning which has resulted in the untimely death of a member of our team, Natasha Galpin (22), as well as the loss of a horse,” Jardine said in a statement. “Sadly, our horse suffered gutteral pouch mycosis (ruptured artery) during work, resulting in the unavoidable and unpredictable accident. He was given all the necessary care and treatment required, and the owners were immediately informed. “Our main priority throughout has been Natasha and the rest of our staff, who are distraught at the loss of a colleague and friend but have been extremely supportive of each other. As a team here, we are doing our best to get through and cope with this devastating situation. “Natasha was an experienced and valued, full-time member of Team IJR. She was an accomplished event rider and ran her own livery yard. She worked alongside her boyfriend, Olyn. The British Horseracing Authority’s chief executive Nick Rust said in a statement the incident highlighted the risks riders take every day. “While such incidents are extremely rare, there is an element of risk every time a rider sits on any horse and as such we should never take for granted the bravery and commitment of our workforce,” he said. 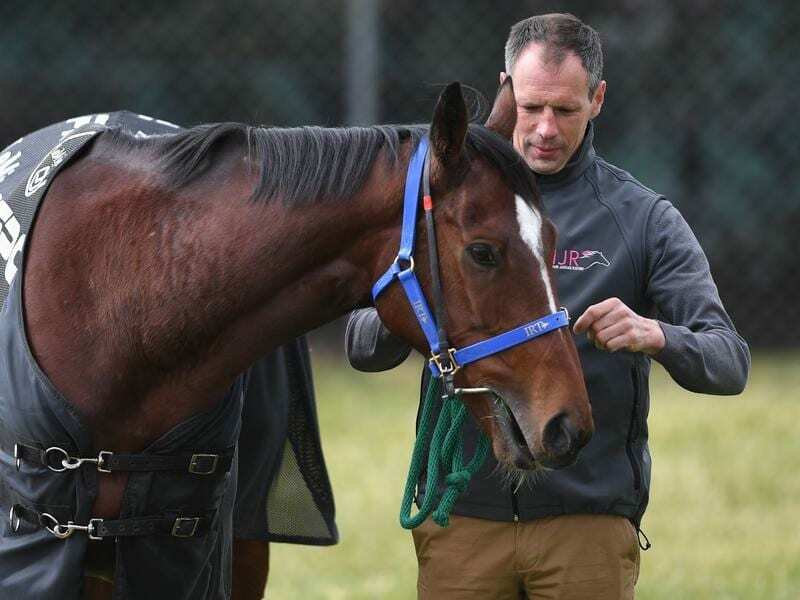 Jardine has visited Australia twice with Nakeeta who finished fifth in the 2017 Melbourne Cup and 12th last year.